The Premier Development League (PDL) released the league schedule and alignment for the 2018 season on Thursday. The league will begin with 74 teams across North America split into 11 divisions. 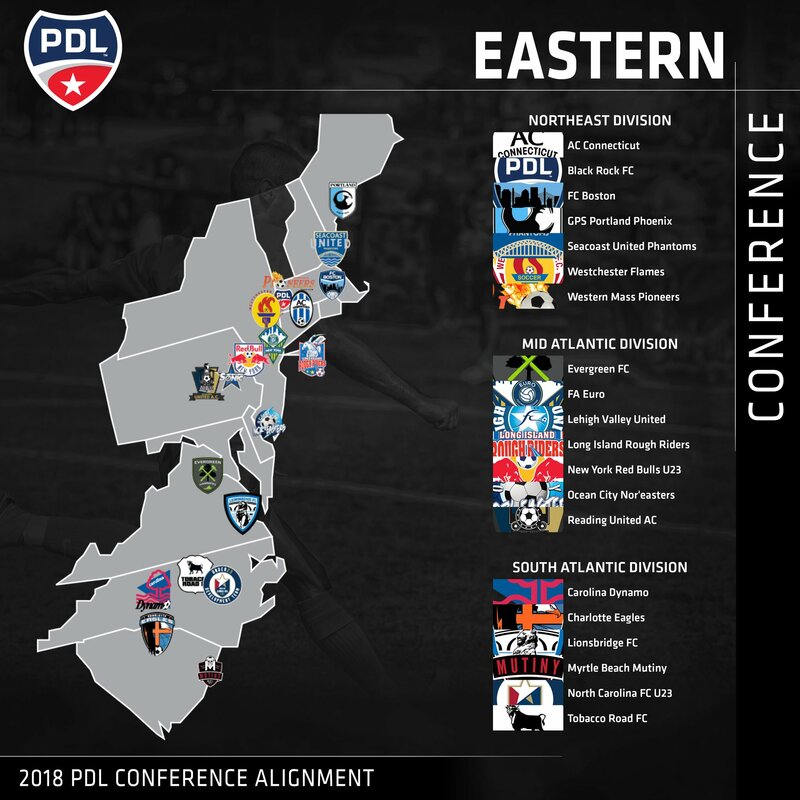 This summer will mark the 22nd season for the Ocean City Nor'easters (16 of them in the PDL) as they are back in the Mid-Atlantic Division of the Eastern Conference for the eighth year in a row. The Nor'easters will kick off the 2018 season on Saturday, May 12 with a match on the road against FA Euro New York. The Nor'easters' home opener will be on Sunday, June 3 as the team will host long-time rival Long Island Rough Riders at Carey Stadium ("The Beach House"). The Rough Riders, return to the Mid-Atlantic Division after two seasons in the Northeast Division. Kickoffs for all home games at Carey Stadium are scheduled for 7 p.m. All the Nor'easters home games will be played at Carey Stadium, also known as "The Beach House", in Ocean City, NJ. Since 2003, the Nor'easters have the fifth-best home record of any team in the PDL with a 71-24-23 mark. The division will play a 14-game regular season schedule. The Nor'easters will face the Rough Riders, FA Euro New York, and defending Mid-Atlantic Division champion New York Red Bulls U23s in home and away matches and will play three games each against Lehigh Valley United (1 home, 2 away) and long-time rival Reading United AC (2 home, 1 away). The club will be led by head coach John Thompson who will be in charge for his second straight season. Thompson took over last year for Tim Oswald who finished his five-year run as the winningest coach in the club's PDL history. Oswald has since moved to the club's front office where he is the Director of Soccer. Thompson played for the club from 2002-06 and was a two-time All-League selection and was named the 2004 PDL Defender of the Year. 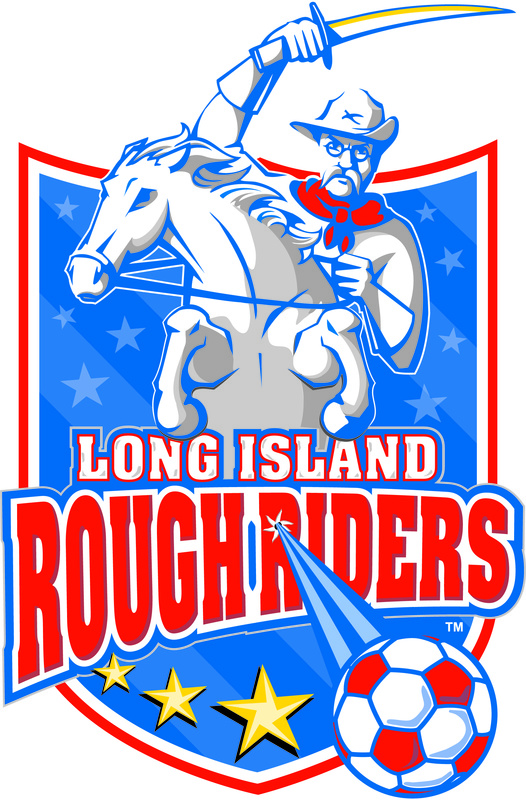 "Our division looks to be very competitive once again with the addition of the Long Island Rough Riders, who, like ourselves, have a long tradition in the USL and the PDL," said Thompson. "Every club in the Mid-Atlantic Division attracts quality players and we all have excellent home facilities, making it one of the top divisions in the PDL." Last year, the Nor'easters managed to improve on their regular season record that saw them qualify for the playoffs and ultimately win the 2016 PDL Eastern Conference championship. However, due to a change in playoff format, the Nor'easters fell just short of qualifying for the postseason with a 9-4-1 record and an unbeaten record at home (6-0-1). This season added to the club's impressive resume that ranks them about the best PDL teams in North America. Since joining the PDL in 2003, the Nor'easters are 130-60-44, which is the sixth-best record in the league. Ocean City's 130 wins ranks 8th in PDL history, which dates back to 1995. "We are excited about the 2018 PDL season and look forward to having another winning year," said Nor'easters general manager Giancarlo Granese Jr. "Last year, we finished with nine wins but came up short of reaching the playoffs. This year we are looking to take it to the next level and return to the playoffs and win the club's first PDL championship. We are really looking forward to getting the season going and filling the Beach House with all our crazy fans." While an official announcement has not been made by the United States Soccer Federation, the Nor'easters are also expected to be a part of the 2018 Lamar Hunt U.S. Open Cup. If they do qualify, it will be the club's ninth US Open Cup appearance. Ocean City has upset five professional teams in club history, the third-most of any amateur club in the country since 1995. Last year, after defeating Philadelphia's Junior Lone Star FC in the opening round, they took the USL's Harrisburg City Islanders to penalty kicks before falling 6-5. This was the sixth time that the Nor'easters earned a shutout against a professional team, something no other amateur team has done in the Modern Era (1995-present). According to the US Soccer Federation, the First Round of the 105th edition of the US Open Cup is scheduled to kick off on May 9. 2018 US Open Cup schedule not officially announced yet. The Northern Virginia-based team is run by former Northern Virginia Royals owner Mo Sheta, as the team was re-branded before the 2016 season from the DC United Under-23s. Last year, Ocean City swept all three games against Evergreen (2 home, 1 away), but it wasn't easy. After a 4-1 season opening win at home, the Nor'easters found themselves trailing 2-0 with five minutes left in regulation. Ocean City scored three goals in those final five minutes to stun the Hammers. The Nor'easters won the final game of the series on the road to complete the season sweep and improve to 11-0-1 all-time against Evergreen. The Nor'easters and the Rough Riders have been playing each other since the two were professional teams. When they first met in 2001, Long Island was an A-League team (Division 2 pro) and the Nor'easters were a D-3 Pro League (Division 3) team known as the South Jersey Barons. Ocean City is 7-8-4 all-time against the Rough Riders, but the two clubs have met twice in some pretty big games. In the Second Round of the 2005 US Open Cup, the Nor'easters (PDL) upset the Rough Riders, 4-0 when they were a USL Second Division (pro) team, 4-0. In 2009, Ocean City went on the road and knocked off Long Island in the opening round of the PDL playoffs. The last time the two club met was back in 2015 during the PDL regular season. Last year, the Rough Riders finished second in the very competitive Northeast Division with an 8-2-4 record. They qualified for the PDL playoffs and nearly pulled off what the Nor'easters did a year ago. They defeated two division champions (New York Red Bulls U-23s, Myrtle Beach Mutiny) before falling in penalty kicks in the Eastern Conference championship game to the Charlotte Eagles, who would move on to win the PDL title. FA Euro New York is back in the Mid-Atlantic Division for the second year in a row. The club made it's PDL debut in 2013 and last year's fifth place finish in the division was their best in the club's short history. The Nor'easters have played FA Euro six times and have won all six meetings, outscoring them 15-4. Last year, Ocean City swept FA Euro with two hard-fought 1-0 victories. Each game was decided by a first half goal by Ocean City and the defense did the rest of the work keeping the clean sheet. Lehigh Valley United had a really challenging first two years in the PDL. United won just a single game in 2015 and upped that total to three in 2016. They won four games last year as they participate in one of the toughest divisions in the PDL. The club joined the PDL after five years in the National Premier Soccer League where they won the league championship in 2012 and made the playoffs in four of the five seasons, including two appearances in the national final four. Last year, the Nor'easters split their two meetings with United, suffering the first-ever loss to Lehigh Valley. That 2-1 loss on July 14 ultimately hurt Ocean City's playoff hopes, but the 5-0 home win in the regular season finale likely clinched the Nor'easters a spot in the 2018 US Open Cup. The Red Bulls U23s, joined Lehigh Valley as another team that enjoyed success in the NPSL (winning the league title in 2014) and left to join the PDL. However, unlike United, the Red Bulls continued their success into the PDL, winning a pair of division titles (including last year), qualifying for the playoffs (twice) and reaching the PDL Final (2015). The Nor'easters have a history with the Red Bulls outside of league play, as Ocean City defeated them in the First Round of the 2013 US Open Cup when New York was part of the NPSL. Last year, the Nor'easters hit the goal post four times in a 3-1 road loss early in the season and earned a 1-1 draw at home. The Nor'easters lead the all-time series 3-2-2 and have yet to lose to the Red Bulls at the Beach House (2-0-2). Reading United AC are the Nor'easters' oldest rivals. Reading joined the D-3 Pro League in 1996, the year before Ocean City launched. Since then, they have played 45 times both as professional and PDL teams. Ocean City leads the all-time series 20-18-7, but Reading has dominated in recent years. After Reading swept both regular season meetings in 2016, the two met in the Eastern Conference championship game. It was the first time the two long-time rivals had met in a playoff game and it was Ocean City that pervailed, winning 4-1 on the road. It snapped a six-game winless streak against United and it was their first win at Reading in 10 years. Last year, the two teams played each other three times, with Reading winning both games on their home field and Ocean City edging United 1-0 at the Beach House on July 2.